Join Desiree Nielsen, Registered Dietitian and Host of The Urban Vegetarian on Gusto TV, for a gluten-free party foods demo so you can throw the ultimate new year, new you fiesta. Because no party’s complete without chips and dip, Desiree will be making a chili-spiked, nut-free vegan queso that pairs perfectly with Que Pasa’s organic and non-GMO tortilla chips, from the Nature’s Path Cooking Stage. Join Mandy King, a Holistic Nutritionist, and founder of HEAL (Healthy Eating And Living) as she shares her knowledge and experience as a Celiac as she guides you through making healthy, delicious and gluten-free 30 minute meals, from the Nature’s Path Cooking Stage. Learn how to make delicious gluten free and vegan waffles! Chef Hamid Salimain is going to take you through the steps of waffle making and teach you how to properly substitute eggs without adding sugar, from the Nature’s Path Cooking Stage. Join Jen Laurie, Registered Holistic Nutritionist and Social Entrepreneur with Epicure, as she shows you how easy it is to make perfectly balanced, delicious, healthy meals in under 15 mins. She will teach you how to create meals that have mass appeal using recipes that have been tested until perfect. You choose the quality of your ingredients and can easily customize your meals to suit you & your family’s tastes, from the Nature’s Path Cooking Stage. Join Ken Schneider on the Cooking stage as he shares his tips on how to makes a nutritious, delicious scoop-and-bake dough from Cassava Root and Chia that’s ready for the oven, from the Nature’s Path Cooking Stage. When you’re gluten-free, a full stomach sometimes means an empty wallet, but it doesn’t have to. 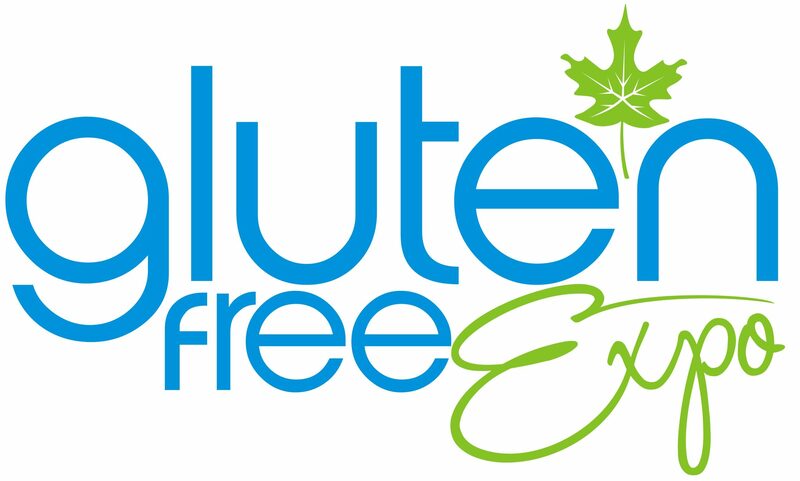 In this session, made possible by Udi’s and Glutino, gluten-free blogger and penny-pinching celiac, Kait McNamee, will teach you tips and tricks for a cheaper gluten-free food plan. With meal suggestions that are $3 or less per serving, Kait will provide a few creative recipes, a bunch of ideas, from the Nature’s Path Cooking Stage. Desiree Nielsen, Registered Dietitian, host of Urban Vegetarian and Author of Un-Junk Your Diet, for a look at mindful eating. She will lead you through a mindful eating exercise to help you break the cycle of mindless snacking and will demonstrate an easy and delicious green smoothie using Qi’a Superseed Cereal by Nature’s Path, from the Nature’s Path Cooking Stage. Savory or sweet, swirl buns are a quick and easy way to add bread back into your baking repertoire. Lisa Skelton of Smallflower Bakeshop as she demonstrates how a good base recipe and a few tips and tricks can turn ordinary into Artisan. Watch Lisa create cinnamon buns and spinach tomato feta rolls in less than 30 minutes. Learn ingredient ratios, handling tips and other easy ideas to make mouths go ‘wow’ and make your breads look as good as they taste, from the Nature’s Path Cooking Stage. Silvia will be demonstrating Otimo Brazillian Cheese Puff’s new line of naturally gluten-free dry mixes based on a traditional recipe from Brazil called “pão de queijo” (cheese puff or cheese bread). Silvia will demo gluten free as well as dairy free options and teaching how to use the dry-mixes for pastries,crepes, waffles, pancakes, wraps, pizza dough and much more. Creating Simple & Deliciously Organic Mexican-Inspired Comfort Food? Yes please! Join Candice Macalino, foodie and Events Manager at Nature’s Path Organic Foods & Que Pasa for a cooking demonstration as she explains how to make gluten free, vegetarian Que Pasa Tortilla Soup. Learn to create simple, deliciously organic, Mexican-inspired comfort food for you and your family, from the Nature’s Path Cooking Stage. Discover tips and tricks on creating delicious gluten free hand formed pizza crust. Joining Chef and Author Jennifer Peters for a hands on demonstration to guide you on making hand formed pizza crust with sun-dried tomato and roasted eggplant Parmesan pizza, from the Nature’s Path Cooking Stage.